All photos on this page have been taken from the S.O.S. team & are considered private domain. They are not to be copied or used by anyone who is not with the Southern Ohio Supernatural without written consent. 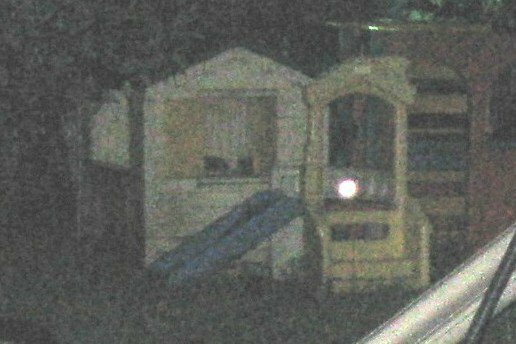 Child apparition at a private residence in Richmond, IN. Many strange things were reported from this location. We tried to find other sources for the seeming apparition, but none could be found. There was no (living) person in this home who looked like this. It was taken with a Canon Powershot digital camera, & taken as a random shot. This photo has only been cropped & not altered in any other way. 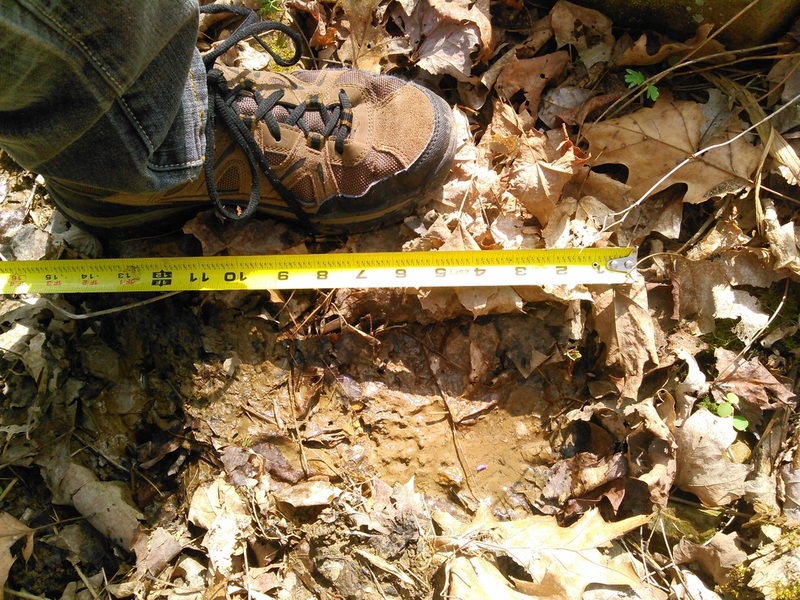 Sasquatch footprint found by our team in the Jasper/Piketon area in 2016. 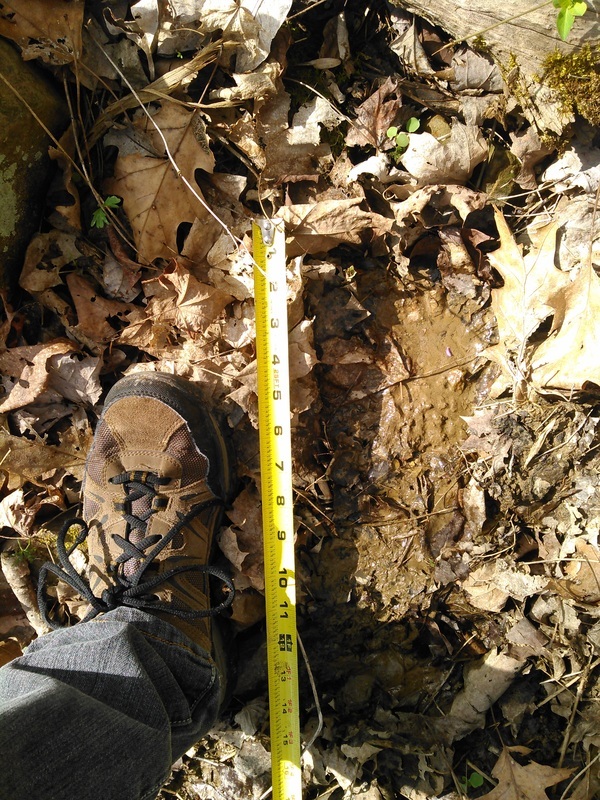 Footprint was 15" long. The white shoe in the photo is John & a size 13 1/2 for comparison. The brown hiking shoe is Marsha & a size 8 1/2. 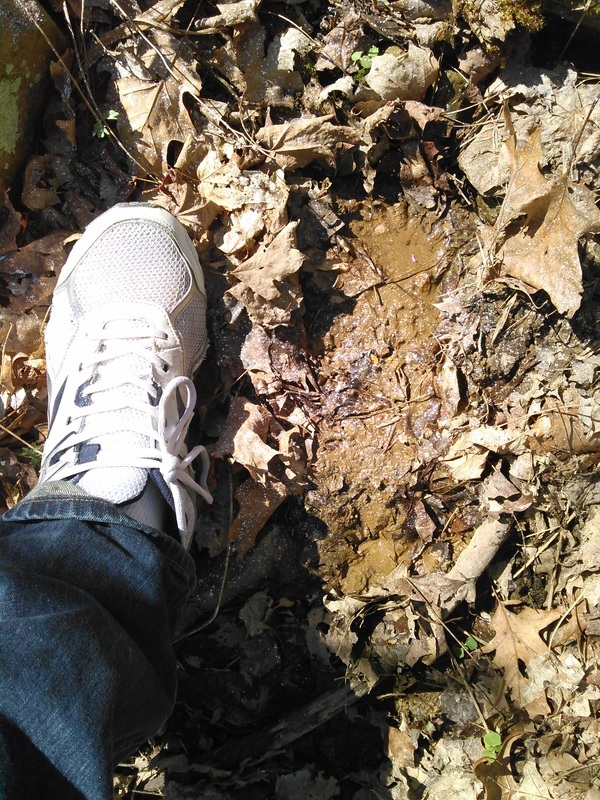 Pike County had many reported sightings of Sasquatch & could even be frequently heard from the home we had there. We & neighbors witnessed many vocals ranging from whoops, light screams to full blown blood curdling screams that seemed to answer each other from different locations of the forest. We also heard tree knocking on several occasions that appeared to interact if we knocked as well. Fort Saint Clair park in Eaton,OH. Documented as a haunted sight in Chris Woodyard's book "Haunted Ohio". Our team has investigated this park & have had many personal experiences that can not be explained by normal logic. Old church in Eaton, Ohio that has not been used in years. 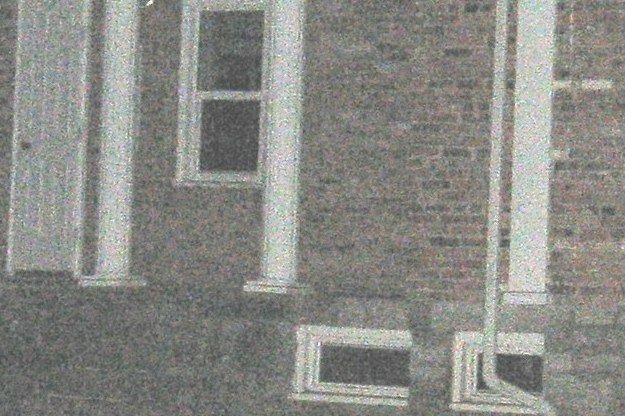 It looks like a strange dark figure is seen in the doorway. This is an old church in Eaton, OH. While many of these orbs are only dust, it's hard to say if the mist & the brighter two orbs may be something more. The church has not be used in a long time, & there are many rumors that a piano can be heard at times from the basement, as well as lights seen when no one is there. 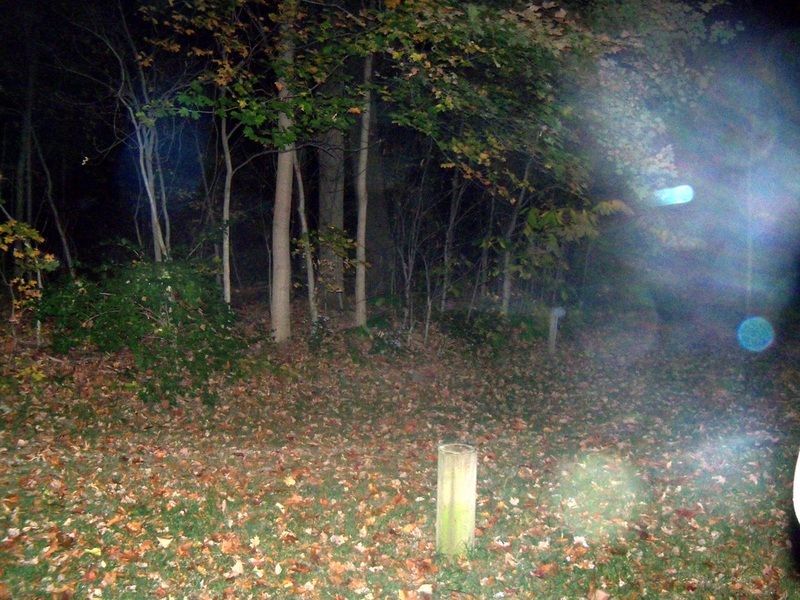 This photo was taken during one of our investigations at Fort Saint Clair Park in Eaton, OH. 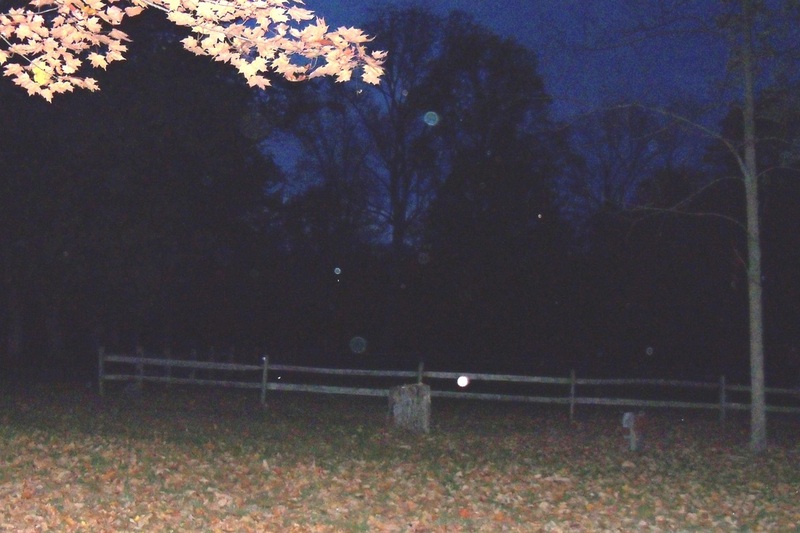 The park has been documented to be haunted in Chris Woodyard's book "Haunted Ohio". 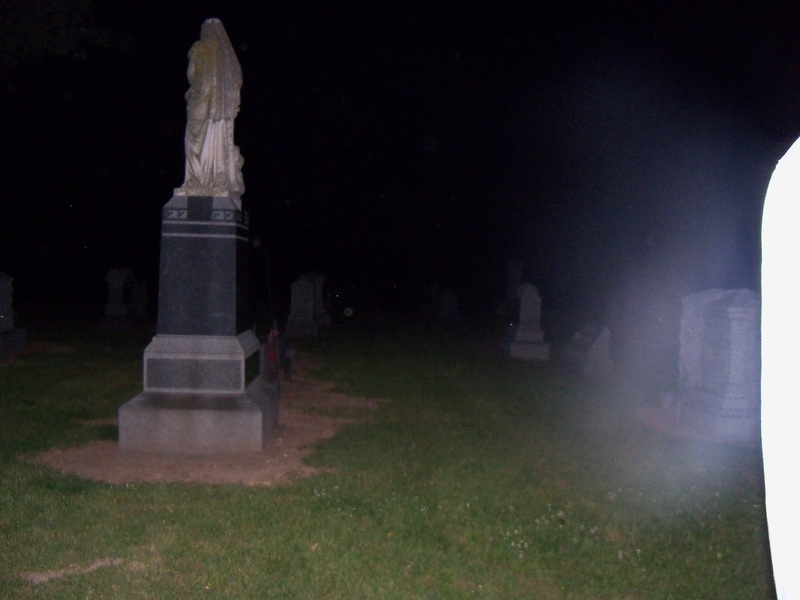 A team favorite, taken during an investigation at Fort Saint Clair park, Eaton,OH. 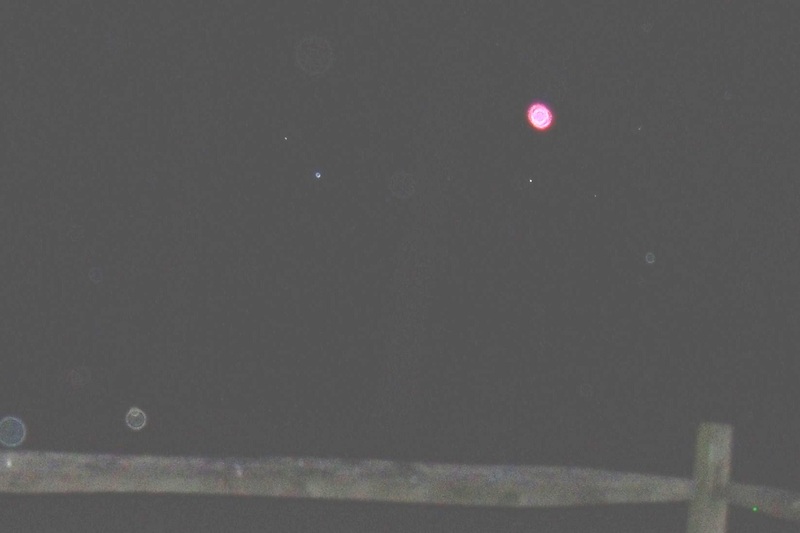 This pic of red orb was caught near the tombstones of six soldiers that were killed during battle. The fort was built in 1791 during the Northwest Territory Indian War (1785–1795) as a 120' square palisaded fort with four sided, arrow shaped, bastions at each of the four corners. 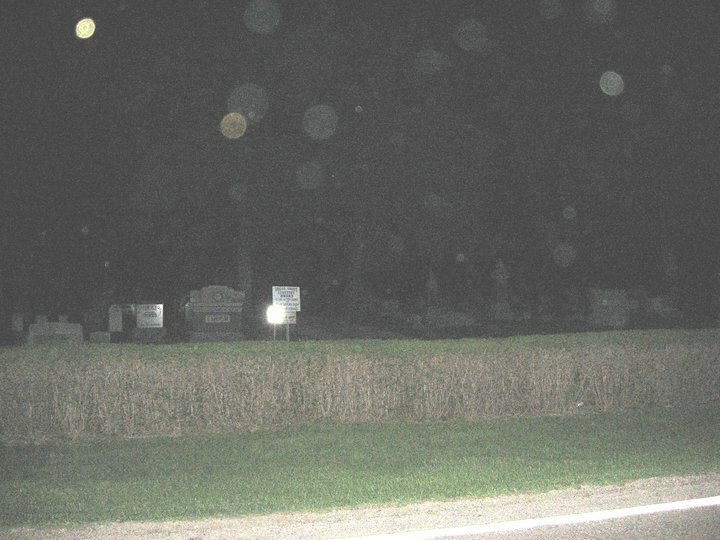 Possible moving orb at a cemetery in Eaton,OH. Notice how bright & self illuminating it is compared to the dust orbs. 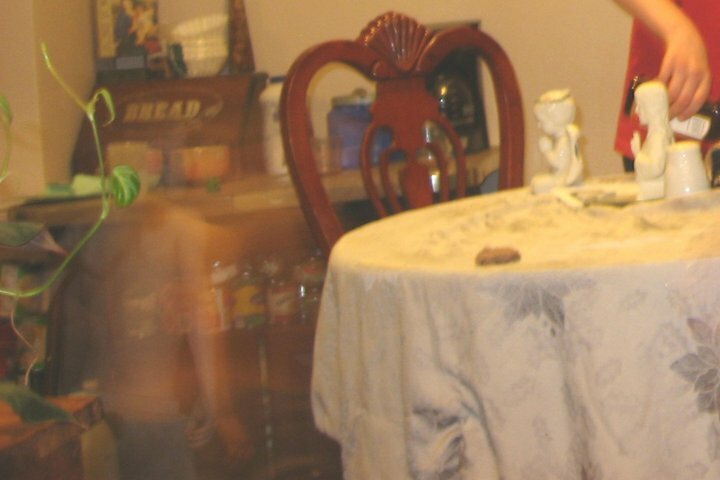 This was an orb caught moving past a photo of a someone that had recently past. 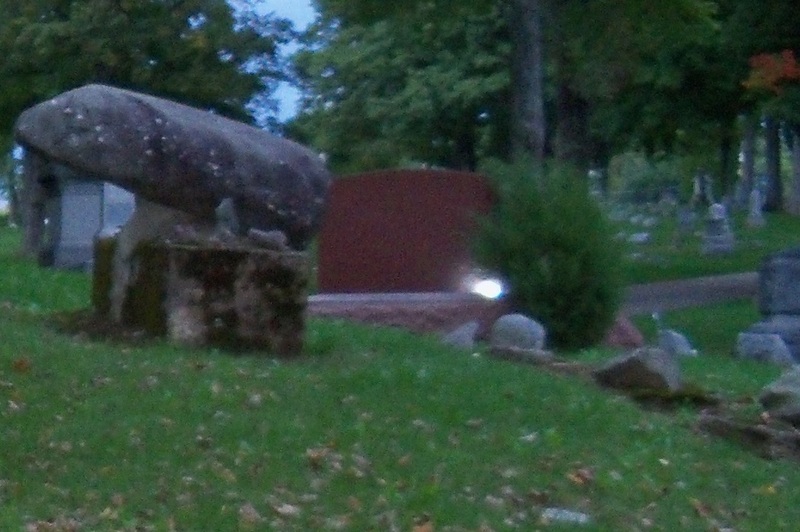 Picture was cropped to focus more on the orb. shadow woman in yet a different window. Some will say orbs, others say dust. 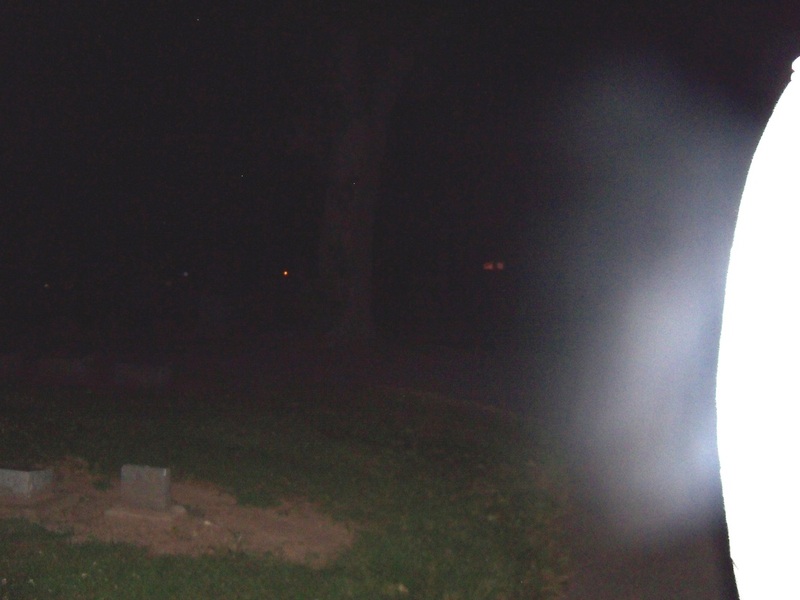 A good way to know the difference is orbs are typically bright & self illuminating, while dust is usually more faint. Spirit orbs can sometimes be colored as well. 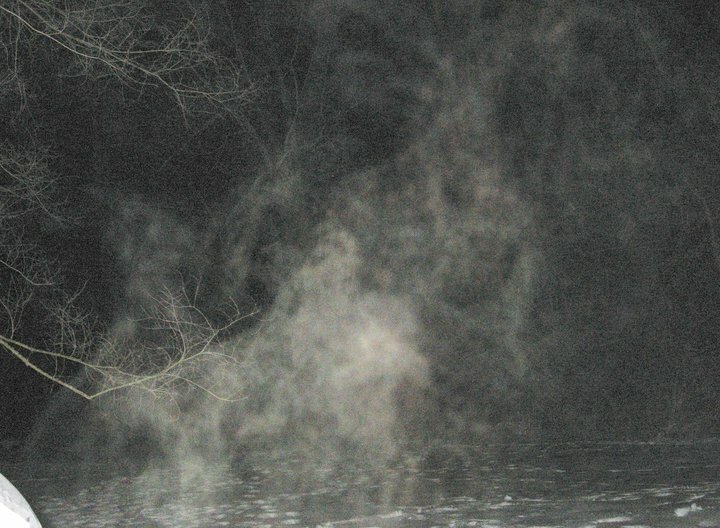 The above pic looks like it may have both dust & spirit. This pic is of the bridge going to Point Pleasant,WV. 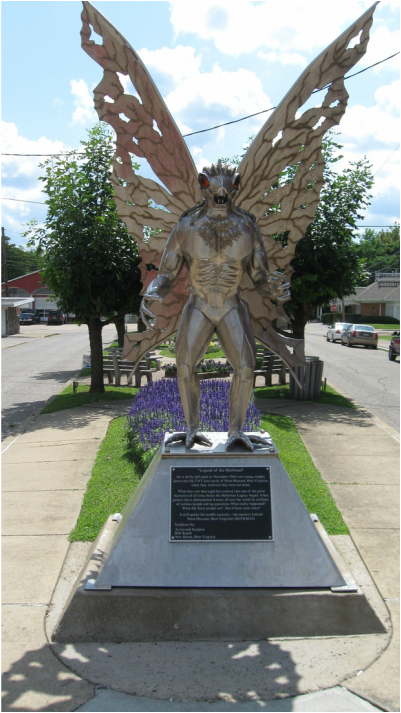 It is famous for the Mothman as well as many UFO stories. A very interesting little town with many mysteries. 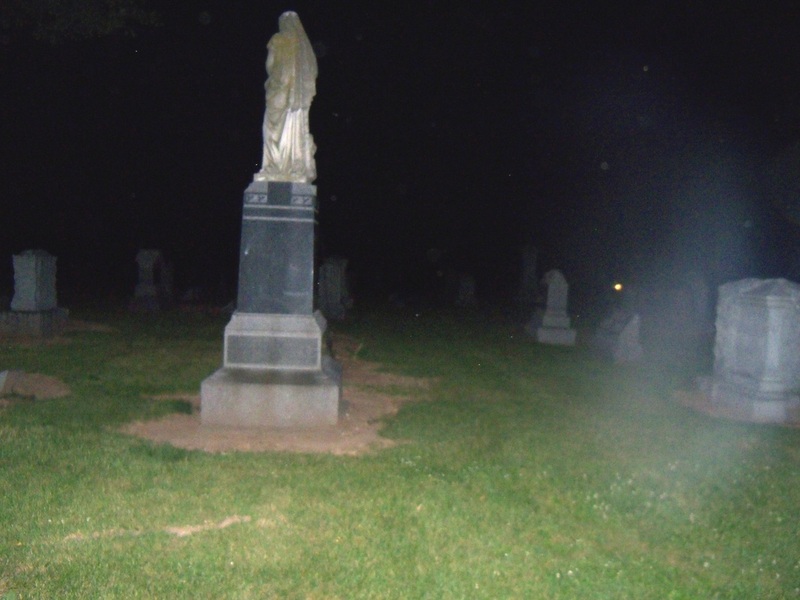 We took this photo during our investigation. It was a very clear sunny day, yet there is a strange misty face that can be seen in the upper center of the bridge. 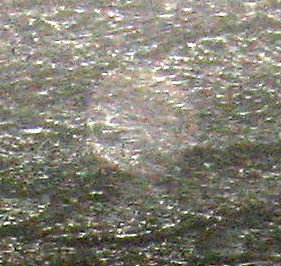 The pic was very clear, but I had to crop & enlarge a lot so it appears blurry now. 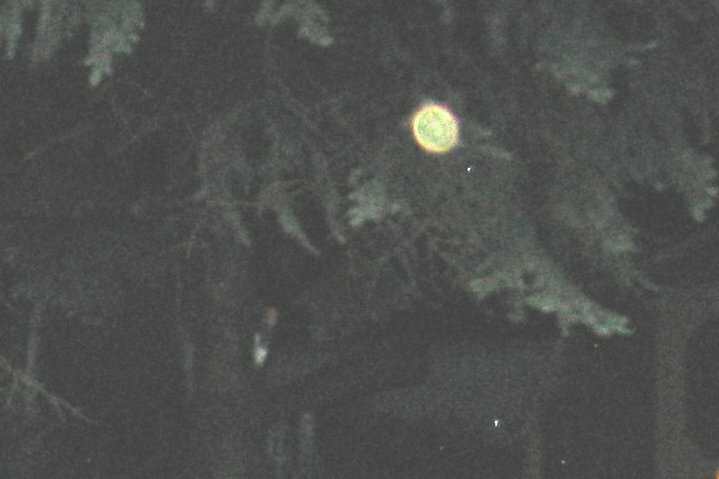 This orb was seen with actual eyes as it flew across near the ceiling of a private home. 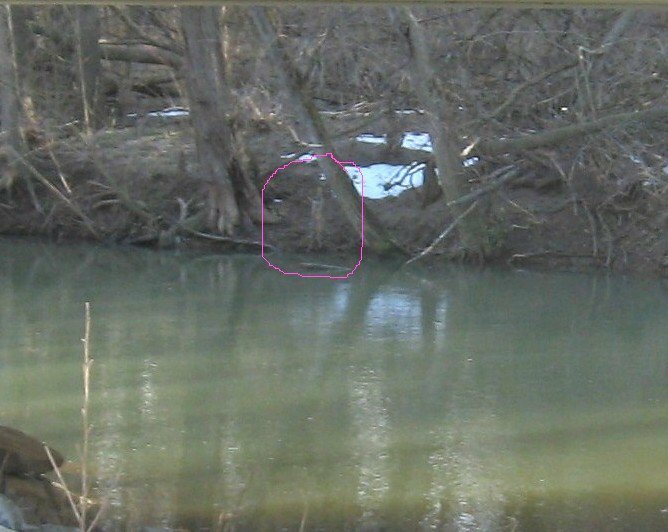 Ghostly figure by creek bank near a park in Eaton, OH. It was not sticks or other debri. Notice size is very small in comparison to the trees. Located at the same residence of the orb on the playset. 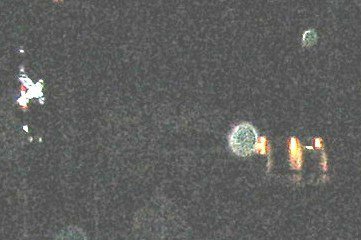 This appears to be a colored orb. taken from around the yard,but only this one showed any of this mysterious fog. Another from the Camden, Ohio cemetery. 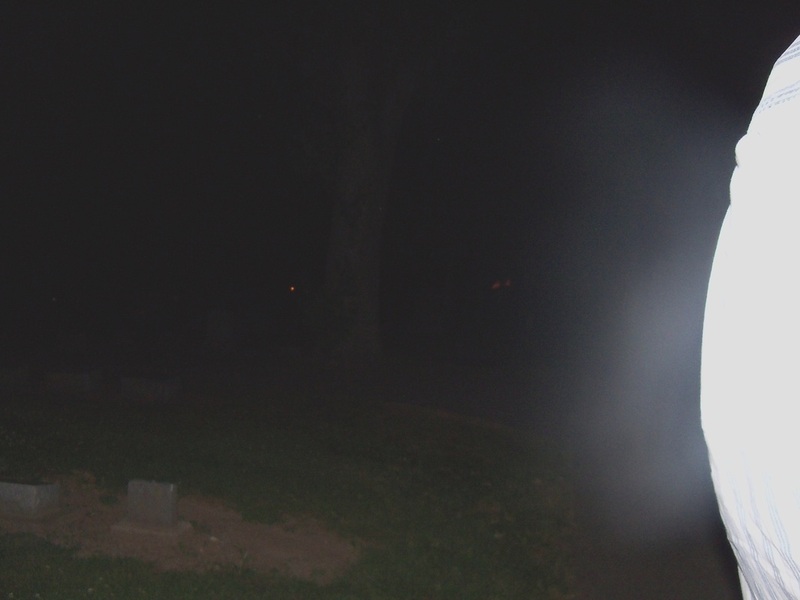 While at the Fairmount Camden,Ohio cemetery John felt he was being followed. Pics revealed some interesting results of this. John was standing to the right. You can see the edge of his off white shirt on the right edge of photo. This cloud mass was directly behind him. This pic & the one below are also from Camden,Ohio cemetery & show more of this cloud mass. 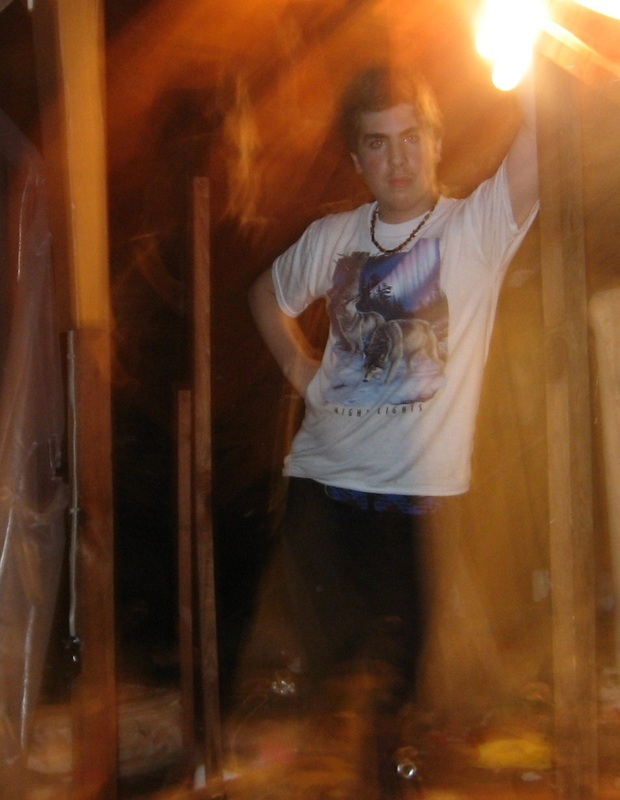 In this picture it appears that there is a shadow figure beside Matt with his arm reached out behind him & you can see what looks like fingers on Matt's neck/shoulder. The light anomaly is strange as well. Other shots were taken in this location yet most others turned out normal. 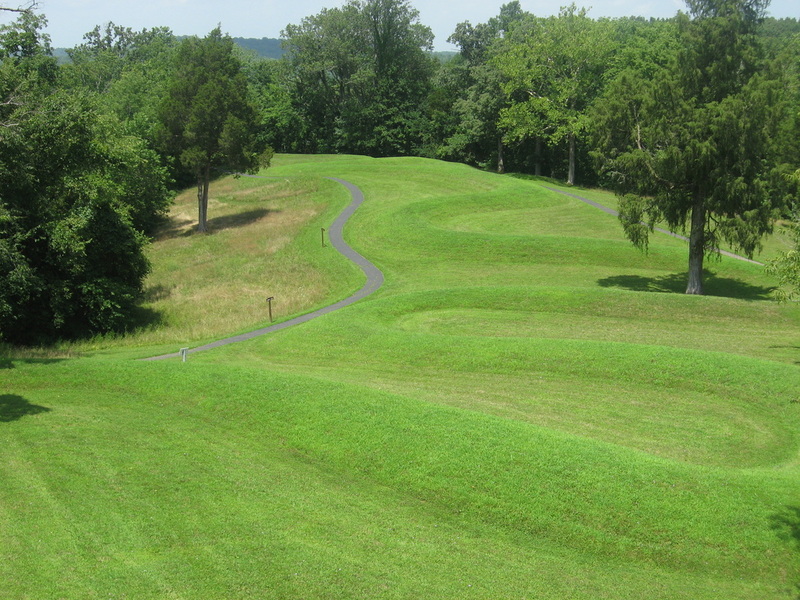 This was taken during our investigation of the Serpent Mound in Peebles, Ohio. Great place & very interesting. 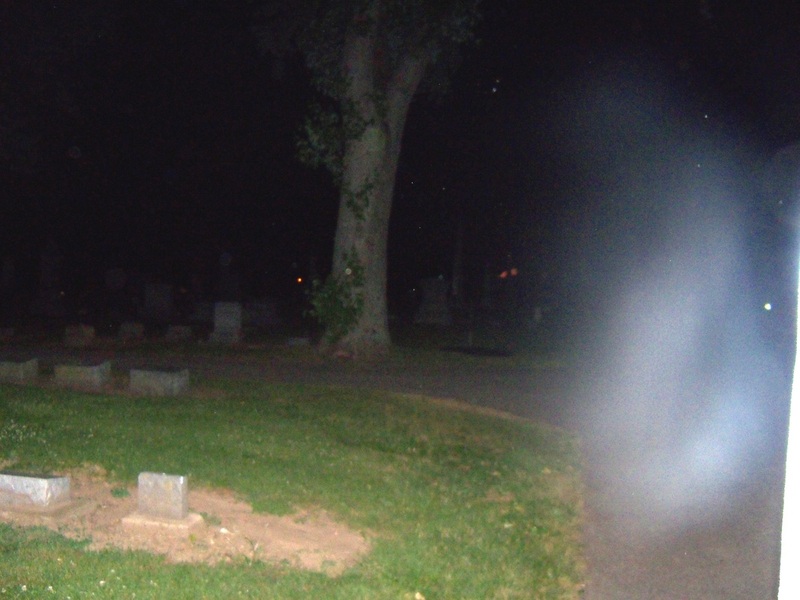 Our team experienced feeling odd energy at certain locations near the tail & the head, as well as seeing some spirits while there. Please be very respectful when visiting ancient site. 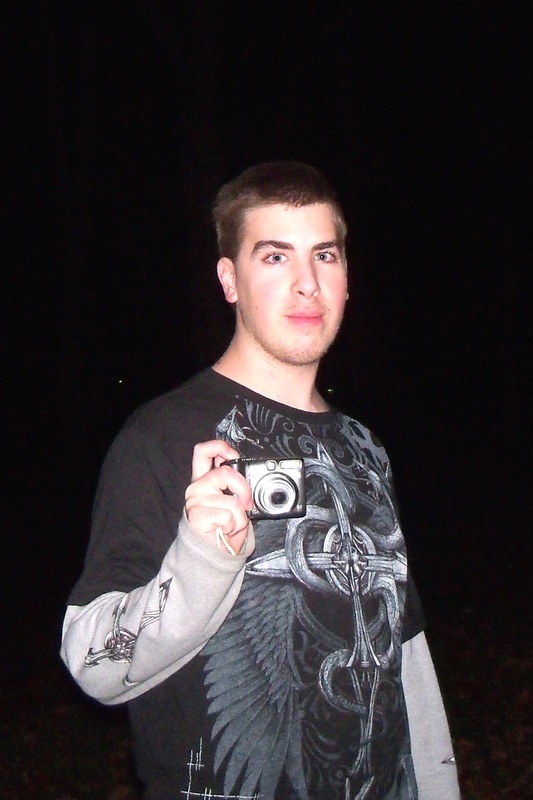 Matt during one of our night time investigations. 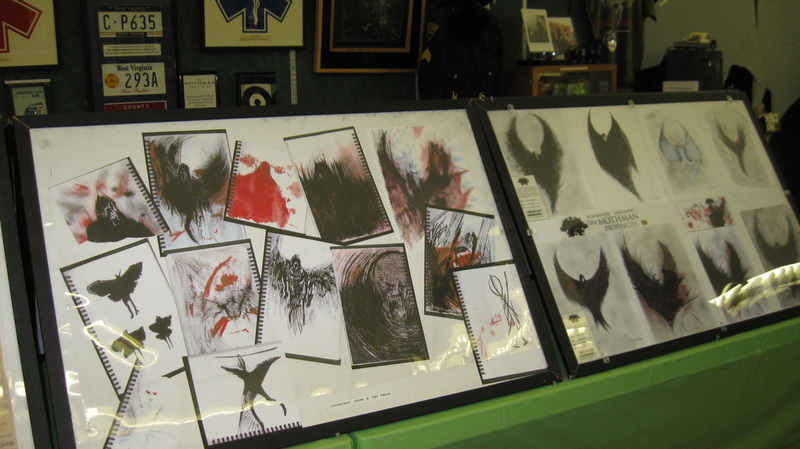 These are drawings of the mothman. 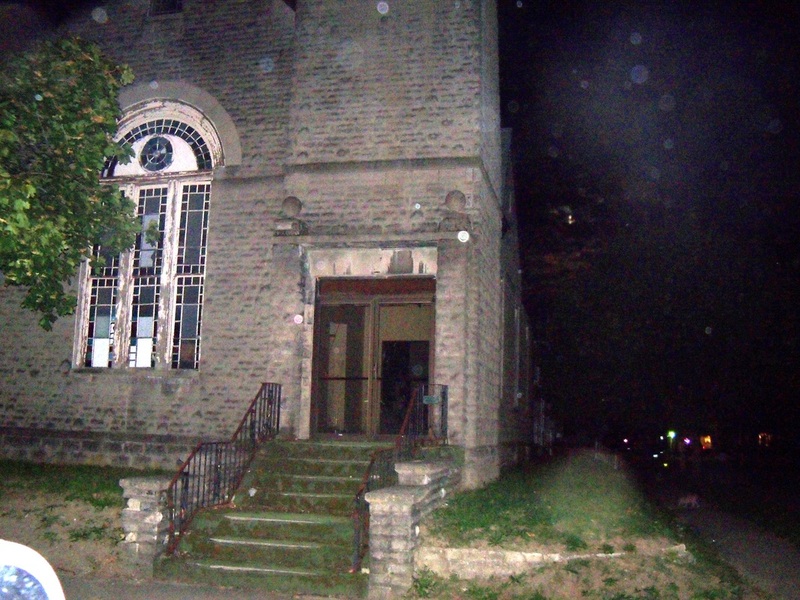 This picture was taken at the Mothman Museum during our trip to Point Pleasant, WV for an investigation. Mothman statue. Point Pleasant, WV.